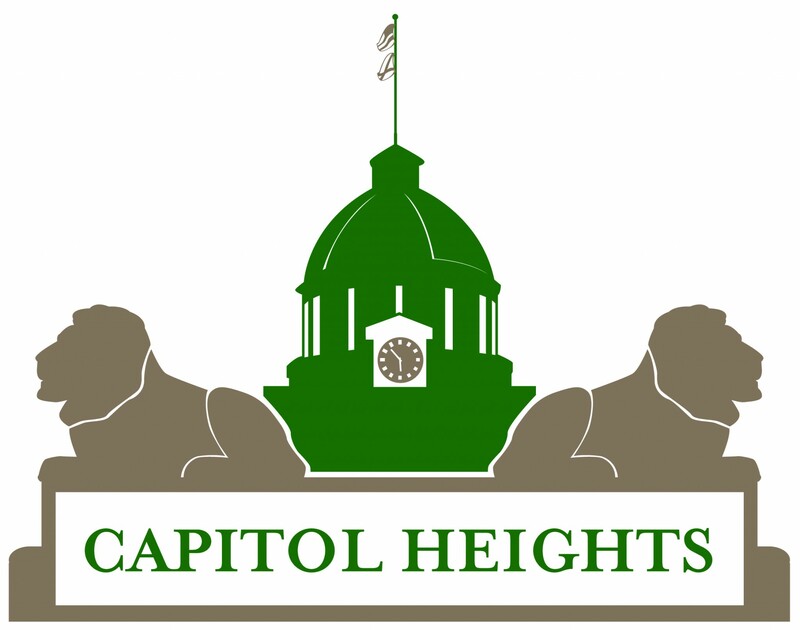 All homes on the Capitol Heights by Candlelight 2000 tour are on historic South Capitol Parkway. The house at 234 South Capitol Parkway was built in 1927. Rick and Alisa Koch purchased the home in October of 1997. The house was a rental property 15 years prior to the Koch’s ownership. It was first-time home and restoration project for the Koch’s. The original floors, doors, transoms, windows and kitchen built-in were restored to their original charm. A privacy fence and deck were added after replacing a rear bedroom window with French doors. The house was updated for today’s living while keeping that 20’s style. This lovely brick Tudor style home was built in 1926 by Boyd Shaver. The beautiful arches accentuate the charm and style of an era gone by. The inside features all stucco rooms with hardwood floors. This adorable home remains essentially as it was when it was first built. No significant renovation has been needed. This stately two-story home was built in 1916 for Dr. John Buchanan and his family. As a general practitioner, the doctor used the side area of the home to see patients, hence the side addition. During the 1940’s the home was divided into four apartments to house returning GIs. The home was purchased in 1957 by John and Mary Lee Rose. It was then converted into three apartment areas. This neoclassical home features a large full-length front porch with columns, red heart pine floors and an inspired renovation effort conceptualized by Buddy Cummings of Chattanooga, TN. For many the “wild kingdom” bathroom is the home’s most unique feature. Others consider the bold colors of each room to be the most interesting attraction. This one story wooden bungalow has much character and charm. It’s lovely wooden porch spans across the front. Inside this home you will find beautiful wooden floors spacious rooms and a recently renovated color scheme. The homeowner has put much time, patience and effort into his gracious home. The house was built between 1912 and 1913 for William J. Ryan by a group of Mennonites that were in Montgomery working on the Capitol building. Mr. Ryan was the manager of the old “Montgomery Fair” and the mayor of Capitol Heights. During his years as mayor, court was held in the living room of this home. The front yard was a community victory garden during WWII. During this time, the upstairs was used by Robert Ryan, the designer of the Montgomery flag and his family. The home remained in the Ryan family until 1986. It is now the home on Nancy, David and Andie Alexander. Built in 1913, this was originally the home of F.S. Lasiter family. Mr. Lasiter was a prominent businessman and developer with the Capitol Heights Development Company prior to the community’s incorporation on November 11, 1908. Except for a brief period during WWII when rooms in the upstairs rear of the home were rented out due to the city’s housing shortage, the house has always been maintained as a single family residence. Since purchasing the house in 1998, the current owner has lovingly restored the structure. The original exterior paint scheme and woodwork have returned while the interior has been brought back to life combining traditional arts and crafts style with a large modern kitchen. The home features four working fireplaces, large spacious rooms, original front door and pocket doors, front and rear staircases over sixty (60) windows, which give the house a feeling of spaciousness seldom found in newer homes. This home, purchased by Marc and Audra Starrett in April 2000, has a Craftsman-style bungalow design modified for Southern weather by the inclusion of a second-story sleeping porch. The home was built in 1912 by Mr. & Mrs. Benjamin Elmore. During WWII the home was modified into three apartments. It was recently converted back to its original form as a single-family home, with further renovation to come. The home has retained its distinctive Craftsman style with a large front porch, cypress wood siding, coffered twelve-foot ceilings, distinctive mantel and fireplaces, pocket doors on both sides of its entry hall, and built-in glass cabinetry. Marc, Audra, and their daughters welcome you to their home and to their beautiful neighborhood. This home is said to have been designed by architect Richard S. Whaley and built by contractor Mr. Laseter. Built in 1912, this Craftsman Bungalow features many of the design elements multi-gables, wide overhand, exposed supports, and porte cochere which were popular at that time. This house was built around 1916 and is predominately a Craftsman style house with other architectural influences such as Greek revival (the exterior Doric columns). The downstairs have hardwood floors with an inlayed mahogany border and the ceilings are coffered. The fireplace mantle in the living room and the decorative newel post finials are throughout to predate the house. It has been the home of two prominent Montgomerians, Mr. J.S. McCants, a post principal at Lanier High School who purchased the house in 1936, and Dr. EH. Mconico, a well-known physician who lived here until 1964. Jack Pearson and Mike Jones purchased the home in 1996 from the Moseley family who, at the time, lived next door at 11 5. Capitol Parkway. Mike and Jack spent the past four years restoring the home. Our house was built around 1912 by the Clapp family. Mr. Clapp was the owner of the monument company located in downtown Montgomery. His company was responsible for the manufacturing of the hexagon stepping stones lining the sidewalks of Montgomery. The unique construction of the house was comprised of concrete blocks that were poured on site. Old records indicate that the house was built at a cost of $5,000.00. The house was built predominately in the Craftsman style with Greek revival features. It is approximately 4,200 sq. ft. with 4 bedrooms and 3 1/ 2 baths. A few interesting features are the 8 fireplaces, 14 poured concrete columns, and an authentic carriage step-off on the side facing Madison Avenue. Scott and Jill Simmons purchased the house from the Earnest Mosely estate in January 1999. The house has been under extensive and careful renovation and restoration ever since. We are honored to offer our home on this year’s tour. Built in 1932, this Craftsman style house, which began as a single family home and later became a duplex was purchased by Ted and Tammie Martin in October of 1999 to turn back into a single family home. After many long days and late nights working, the house is near completion. The master bath, which will feature a garden tub, will be put where the duplex kitchenette used to be. The kitchen used to only occupy the area of the stove and refrigerator back to the outside wall. The Martins enlarged the kitchen by eliminating a wall that separated the kitchen from the hallway. As with most older homes, the majority of this house’s charm has been revived with the use of period colors and the revitalization of the hardwood floors. Built in 1929. Restored to present condition in 1998-1999. Original detail and picture molding. Style of home is craftsman-bungalow. R. Littrell, owner. On a cold day in December 1910, a team of horses pulling a home up a muddy Madison Avenue will soon have rest in the new town of Capitol Heights. Fannie Buchanan placed her home, which has previously been located near the State Capitol on Washington Street, in the middle of the land she purchased on Capitol Parkway 400 feet from the corner of Madison Avenue. Fannie remained in the house until 1920 when she sold to Myrtle and Kate Ralston who occupied the house for five years and the sold to A.B. and Fannie Mae Hinson. The house remained in the Hinson family for over seventy years, until 1998 when my husband Barry Ballentine and myself Andi Ballentine purchased our first home. The age of the home is still prominent in many ways. The front doors are 10 feet tall and have original hardware that.dates back to 1872. The floors, walls and ceilings are all hardwood. There are two cast iron coal burning fire places, 8 1/2 feet tall windows, and a lot of character. With many projects my husband and I want to accomplish, the house is a work in progress. We hope you will enjoy touring our home. This beautiful house built in 1926 is known to local Montgomerians as the Earp house. This structure was featured as the set for the movie “The Long Walk Home” starring Sissy Spacek and Whoopie Goldberg in 1990. This motion picture was a drama about the beginning of the modern civil rights movement as the 1955 Montgomery Alabama bus boycott is seen thru the eyes of a black housekeeper and a well to do white employee. This structure features 3 bedrooms, 2 full baths, and all the characteristics of a old southern house including a original fireplace lined with stainless steel. This house features the architectural style of Tidewater Cottage. The home purchased by the Riley family in 1996.